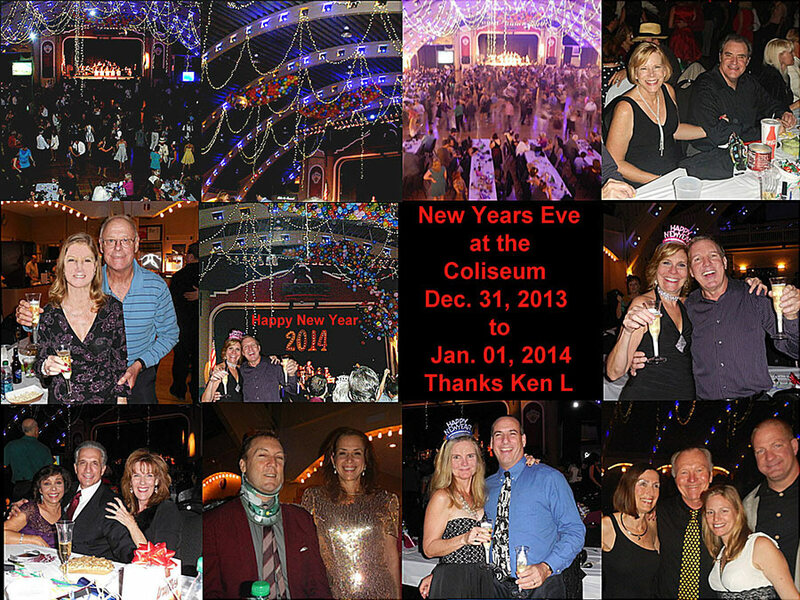 We came close to not having a New Years at the Coliseum Party this year but Ken L stepped up at the last minute and saved the evening. As usual the Coliseum had a full house and a great band. Table 21/22 was reserved for us and it had candy, hats, horns and decorations on it. People also brought delicious food to snack on. We had a good group and a fun time bringing the New Year in. Thanks again Ken.